People who often visit bookstores. We ended up with 247 responses. It was easier to get people who bought something to fill it in, rather than people that we could not tempt to make a purchase, and so 204 of the 247 were customers. 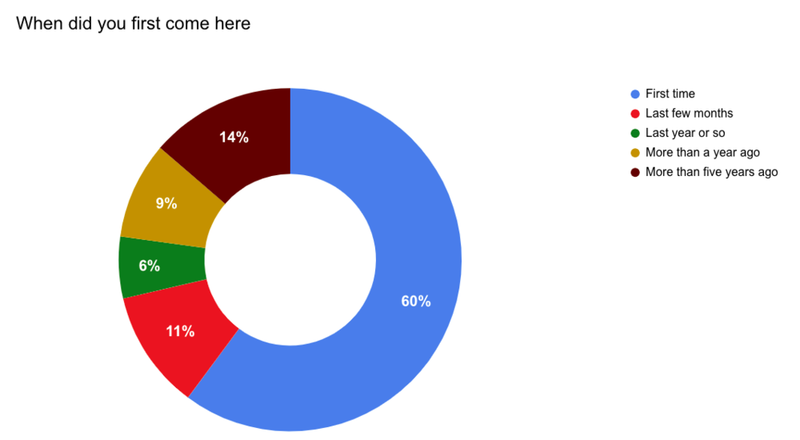 People who had never been here before make up about 60 per cent of our respondents. This seems super high. It seems like there is great potential to boost the number of customers. Nearly two thirds of people said that they had no previous knowledge that we were here and just popped in as they happened to be walking past. This also seems super high. About fifteen per cent of people found us online, about ten per cent came our way from word of mouth. 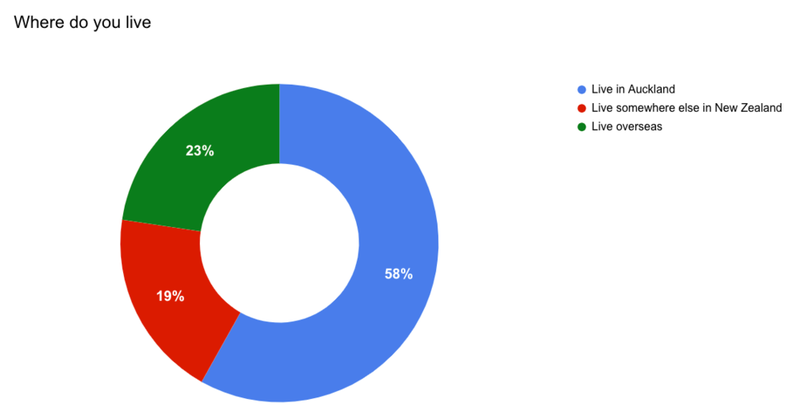 People who often visit bookstores made up nearly half of our respondents. Forty per cent were just strolling on Ponsonby Road. About a quarter were local residents, and about 10 per cent worked in Ponsonby. Nearly sixty per cent of our customers live in Auckland, with another 19 per cent visiting from elsewhere in New Zealand and a little under a quarter from overseas. Half of our customers came on foot, forty per cent in a car, and only one in ten on public transport. God bless the one per cent who came by bicycle too (my preferred means of transportation). We split the results by day of the week and by how much customers spent, but there were no obvious trends. Note that for some of the questions people could tick more than one options, so the totals add to more than 100 per cent. These results make us more focused on improving signage out the front (which has long been on the list) to tempt more people who are just walking by.